Ni hao! Greetings from Shanghai! I had a wonderful time here so far and I still have a week left to explore this fascinating city. 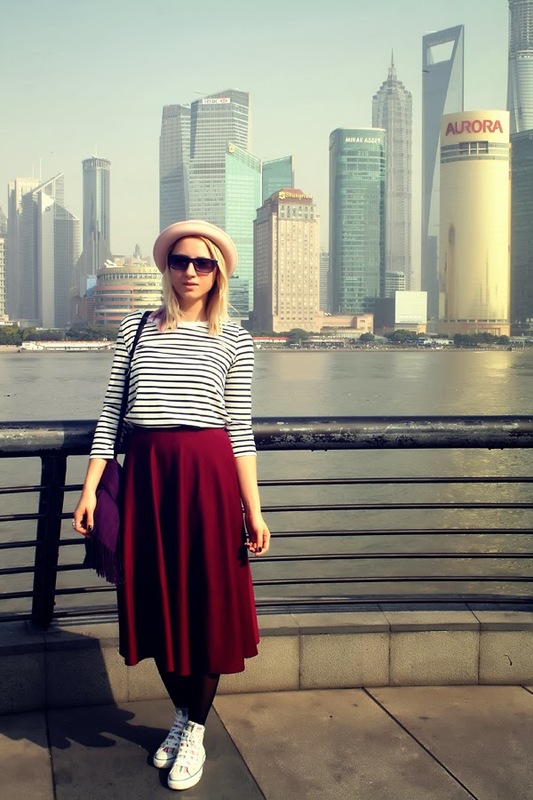 This weekend I went for a stroll on the Bund boardwalk and enjoyed the scenic view. 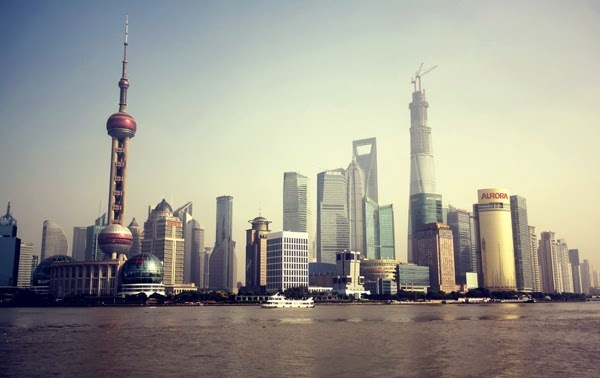 Situated on the east bank of the Huangpu River, the Bund is the symbol of Shanghai. New finance and commercial houses as well as grand buildings built in the 1930s in European architectural styles cluster along the Bund. On the other side of the river you can admire the modern symbols of the city, the magnificent skyscrapers such as the Oriental Pearl TV Tower on the left. A light fog was dancing on the river, making the view even more beautiful. Picture credits go to the random tourists on the boardwalk who were kind enough to take some pictures of me. This is a beautiful classic pairing! Love the stripes! Great backdrop!